While proceeds from Americold Logistics’ recent initial public offering are going mostly to pay off debt, executives say the move also will help kickstart growth for the Altanta-based warehouse operator by boosting its ability to pursue acquisitions and fund new e-commerce distribution, transportation and logistics services. Americold operates 160 warehouses covering 945.3 million cubic feet, with 145 in the United States, six in Australia, seven in New Zealand, two in Argentina and three in Canada. The company, founded in 1911, generated revenue of $1.4 billion in the 12 months ended Sept. 30, 2017 and ranks No. 8 on Transport Topics’ Top 50 list of largest logistics companies in North America. Americold controls an estimated 20% of total cubic footage of refrigerated storage space in the United States and about 4.5% globally, according to the International Association of Refrigerated Warehouses. Ron Burkle, an investor with holdings in several major supermarket chains, purchased a 20% stake in Americold in 2004 and four years later bought the rest of the company. 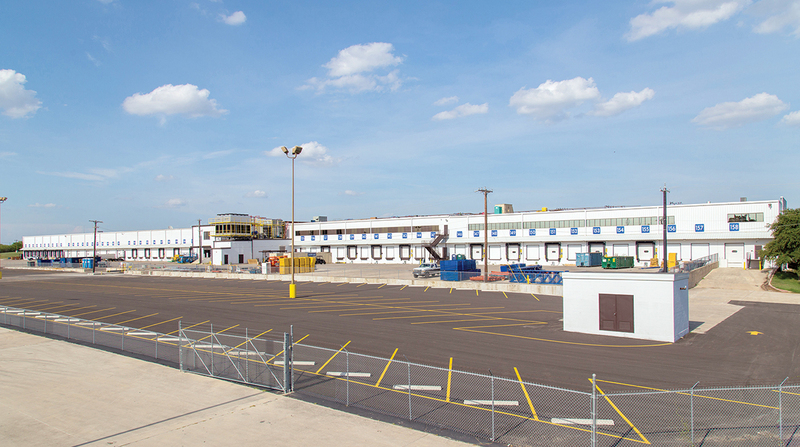 In 2010, Americold struck a deal with Canada-based Versacold International Corp. to acquire 74 warehouses, solidifying its position as the world’s largest owner and operator of temperature-controlled warehouses. With Americold’s IPO, investors are getting a look inside a type of business that is attracting more attention due to the explosion of e-commerce and the fact that occupancy rates in warehousing and distribution centers are at historic highs. And it’s not alone in its growth trajectory. In Vancouver, British Columbia, Daryl Ee — CEO of Speedee Transport, 18 Wheels Distribution and Rolls Right Industries — is opening a cold storage warehouse to meet demand for delivery of specialty meats and produce ordered online from Asian suppliers. Started by Ee’s father, Rolls Right operates a fleet of 200 trucks and 550 trailers providing mostly refrigerated less-than-truckload and truckload service across Canada, generating annual revenue of C$60 million. Speedee Group got into warehousing in 2011 and now operates about 450,000 square feet of space in facilities in Calgary, Alberta, and Delta, Annacis Island and Burnaby, British Columbia. Americold is optimistic about the future of the warehouse industry, Henderson said. In documents filed with the U.S. Securities and Exchange Commission, Americold listed $1.2 billion in potential expansion projects and said it expects to benefit from a trend toward outsourcing by food producers, distributors and retailers. The company also sees new business opportunity from pharmaceutical, floral and chemical products. Americold stock on Jan. 19 concluded its first day of trading on the Nasdaq National Market, under the symbol COLD, at $17.50 a share.